Cellular Memory may initially sound like a complicated and very complex scientific concept. Although it can be, what we'll be exploring and looking at will take away any confusion as to what cellular memory is. It will also provide you with the ability to clearly see both how and why the memories infused at the cellular level of all individuals, impacts and affects, both positively and adversely, each and every area of your life. But as we move through, I'll do my very best to refrain from delving into all the complicated and mind numbing equations and all the complex scientific lingo that scientists use to describe things and convey it in such a way that anyone can easily understand. It's my hope that once you've completed reading what follows, you'll be enabled to not only grasp and clearly comprehend how cellular memory determines how EVERY aspect of your life unfolds whether physically, financially, relationally, emotionally and spiritually, but that you'll also be provided with a greatly enhanced ability to begin consciously, intentionally and consistently enhancing and in many cases completely transforming your physical results in whichever aspect or aspects of life that you choose. This new depth of understanding will enable you to begin to experience more of the desired outcomes that you have a sincere desire to experience yet to this point may have "perceived" and believed to be well outside of your control rendering you seemingly helpless and incapable of doing anything about it. I can assure you that they're is nothing outside the realm of possibility with the exception of what you yourself choose and allow to become that. But what I know is of little consequence as it pertains to you and what you'll experience or not experience in your own life. The reason being is simply because it's what YOU believe to be true or untrue that without fail determines what you can or cannot achieve in your life. Both success and failure are the result of choice. The ability to enhance quality of life regardless of which aspect of life that might be begins with choosing to enhance and expand upon your current level of awareness. The most fundamental and crucial awareness for creating desirable transformation begins at the level of self awareness. Self awareness covers a broad range of subjects, but as it relates specifically to cellular memory, it's an enhanced level of awareness that impacts each of us at the mental and emotional level which determine the quality of our choices which inevitably impacts both the material and non-material aspects of your life. Your individual results are only limited by and are dependent on your willingness (or unwillingness) to discover knowledge and information that enables you to reach and stretch and excel far beyond where you currently find yourself. And wherever that is; aside from how "good" or "bad" you might believe and perceive where you are currently to be, what has unfolded has unfolded in the way it has due to what you currently "know to be true." And developing the kind of self awareness regarding cellular memory and the role it plays in causing you to think, say and do whatever it might be that you consistently think, say and do individually is a great place to start. Taking that first small step is a vitally important one if you're serious about and have a sincere and heartfelt desire to know and understand for yourself what is so often labeled as the status quo doesn't and begin to experience a quality of life that those who collectively make up what's known as the status quo never will. But understanding and becoming aware is only the first step. Once understood, it's also necessary to embrace, internalize and act upon that "heightened sense of awareness" before you can expect to experience the transformational power that this understanding can and does provide. It's my hope that through what you're about to discover regarding cellular memory, that you'll clearly see beyond the shadow of a doubt just how useful and powerful this understanding of cellular memory can be in your life and that you'll choose to apply it to begin reaching and experiencing the hopes, dreams and goals that you hold as dear and aspire to create in and for your life. At the conclusion of this article you'll have a deeper understanding as to how, through a conscious choice to enhance and expand all aspects of your consciousness...in other words developing a "conscious awareness" of how each of the events, conditions and circumstances unfold at this cellular level will, should you choose to accept and "apply" what you discover, enable and empower you to not only tap into but move into and experience a profound and consistent sense of peace, assurance and well-being in every aspect of your life. 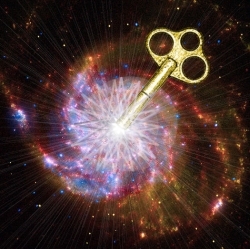 Regardless of your individual choice as to how deeply it will or will not impact you personally, you'll have acquired a depth of understanding and be one step closer to the master key that can, once a conscious choice is made to do so, transform your entire world. Amazing as it is, "most people", for any number of reasons choose NOT to explore and understand beyond what they can see, do and experience on the surface. Yet everything finds it's root in a cause; a deeper cause than anything of a tangible nature that can be measured. And this non-measurable "thing" I'm referring to is consciousness. Even though cellular memory does without fail determine how both the success as well as "perceived" failures in your life come to be a part of your life, it's the quality of consciousness that resides within and is infused at the cellular level. Although often overlooked and/or misunderstood, cellular memory plays a huge role in determining the kind and quality of important life choices that you'll make or not make. Those choices result in action or inaction which determine the kind and quality of tangible and measurable results you'll receive or not receive which is the gauge most use to determine, judge and label the quality of their lives. So what does that have to do with cellular memory? What you have experienced as well as what you will experience at some future point in time is the result of and directly connected to a choice. It's an individual choice to remain or stretch beyond where you are in applying that understanding or choosing to "consciously and intentionally" initiate the incredible transformation that can and will be achieved through a choice to intentionally become aware of and when appropriate, enhance, elevate and shift your underlying and often time unnoticed "belief systems" at the cellular level where all cellular memory is stored. First, let's look at what cellular memories are, how and why they exist, what areas of your life they have an affect on as well as where they are originally derived from. First let's look at which areas of your life that cellular memories impact and affect. In other words they control and determine EVERY aspect of your life physically, financially, relationally, emotionally, intellectually AND spiritually!! So how can this understanding of cellular memory be validated? Well...you could discover it through exploring and gaining a deeper understanding of ancient spiritual manuscripts, exploring and discovering the latest in scientific research and the discoveries so many forward thinking scientists have made, and once understood and grasped by simply taking a close look at the physical results that you've experienced in your life to this point. Although that might be A way to validate it for yourself, you could spend many years arriving at your conclusions. The alternative would be that you could also choose to acquire and explore information that has already been accumulated and compiled for you which will, once discovered awaken what you already know and understand at some level and provide you with a renewed spark and sense of "inner knowing" that currently lies dormant within you. Through acquiring that understanding, you'd be led back to where you may and where the majority of people in the world find themselves, which is possessing an intellectual understanding that all things which unfold in your life are based on and are due to the beliefs that you hold with regard to life, but may not be aware of how to consciously and consistently initiate and control the various areas of your life. This is where cellular memory comes into play. It's due to cellular memory that although you may have a conscious desire to achieve and experience a certain outcome in your life that the underlying cellular memories are the very thing that are keeping you from being able to make it a reality. It's these memories which are stored at this "cellular level" which transcend and overpower "conscious beliefs" and serve as the determining factor as to what you "truly" hold beliefs about which in turn determines and unfolds in tangible and measurable form, what you can or cannot experience in life. This understanding has been available for thousands of years and was revealed through the teachings of the greatest and most insightful spiritual masters in the history of the world. But for some...most in fact, these teachings aren't enough, many times due to a lack of belief that such profound occurrences can happen for you on an individual basis which in more cases than not simply boils down to a lack of self-esteem or self worth. What is a lack of self esteem Simply a "belief" that you are not worthy of receiving all the good things that have been made available to you which is precisely what keeps you from experiencing them. Simply a belief. To allow the conscious application of these profound timeless teachings in able to personally experience the transformation that can and always is experienced when the power that they reveal is consistently applied the belief must be changed. But this belief goes deeper than the conscious aspect of mind...it is stored at the cellular level. This is where an enhanced understanding of the latest discoveries made in neurology, cellular biology and quantum physics can become of immense importance and benefit. These scientific findings support in tangible and physical form what spiritual teachers and ancient manuscripts have shared and taught and what so many after them have tapped into and experienced for themselves. From the scientific understanding, it has been shown that all results in life, both the physical and seen aspects of life as well as the spiritual or unseen exist as the result of energy. It's this energy, more specifically the resonance of this energy that serves as the "building blocks" of ALL of creation which determines both how and why outcomes happen as they do at every level. Although many have a "conscious desire" to experience the health, wealth and relational fulfillment that's available to them, they are unable to create those outcomes in physical form. BUT...it's NOT because they don't have the capability, it's simply because they don't possess the belief that it's possible. It's a simple yet profound fundamental truth. The vast majority of the world have been conditioned and programmed to address the "perceived" problems of the world at the level of symptoms...in other words attempting to fix problems at the physical level and NOT at the root source which is at the most basic seed level of ENERGY. In the case of physical health and wellness, the mainstream medical community in the western world continually attempts to "fix" physical problems through operations, prescribing pharmaceutical drugs which only serve as a type of band-aid at best and as a result never get to and address the root cause of the physical ailments experienced at the seed level. They are continuously attempting to deal with physical issues through physical procedures which is in essence attempting to address and resolve effects through effects rather than addressing and dealing with issues at the root cause which is at the level of ENERGY. Most are familiar with the scientific understanding of cause and effect but fail to understand it a deeper level that physical actions which produce physical effects. This is why the majority in the world experience mediocre results at best and find themselves continually struggling and working hard to ensure that results are produced. Cellular memory provides a physical explanation of beliefs that can be likened to what is going on at the subconscious aspect of your mind. Although mind is non-physical or what some might call spiritual in nature, the introduction to cellular memory clearly reveals the connecting link from this unseen or non-physical aspect of mind and provides you with the understanding of how the unseen aspect of "consciousness" transmutes from this unseen or spiritual realm to the physical world which determines the events, conditions and circumstances in the various aspects of your life. Unlike the conscious mind, the subconscious mind is none discerning, isn’t able and doesn’t differentiate between what is “perceived” to be real or imagined. It accepts and stores whatever data we choose to provide it. In other words the subconscious aspect of mind sees those things that we engage in whether physical or non physical as "reality." This is why creative visualization can prove to be a powerful tool for attracting "desired" things into physical life. Those things being visualized or imagined are "perceived" by the subconscious as real...an already existing fact and immediately goes to work to bring them into your physical reality. The subconscious mind also serves as the device that communicates information to the individual cells of your body. If the data fed into and stored at a subconscious level is predominantly based on fear, doubt, worry etc. the body responds as it was designed to and the cells are put into a fight or flight response mode redirecting crucial energy that is normally directed to and utilized for the immune system allowing illness and dis-ease to develop in the body. The key to experiencing optimum health and wellness is to change the underlying subconscious beliefs held which in turn deactivates potentially harmful memory at the cellular level, replacing them with productive memory, enabling the immune system to do the job that it was created and intended to do. Although that is put in an extremely simplified way, becoming aware of the recent scientific discoveries made through Epigenetics clearly shows just how real, powerful and effective the transformation of cellular memory can be in enhancing quality of life not only in the area of physical health but quite literally in every aspect of life. Let's take a look at how these events, conditions and circumstances in your life unfold at this cellular level and how it is that your individual cellular memory plays a major role in what you experience in your life. As we've discovered through exploring the process of creation beginning at the quantum level, all things begin at the level of "consciousness." Consciousness exists in it's purest and most basic form as a wave form (a vibratory pattern of unseen energy) and as the mind places focus on and gives attention to a given outcome, transmutes these wave forms from this "energy" in it's purest form to particles, the kind and quality of which is determined by the kind and quality of the predominant attention of thought which is focused on. This transmutation of wave energy into particles determines atoms. Atoms collectively joined form molecules. 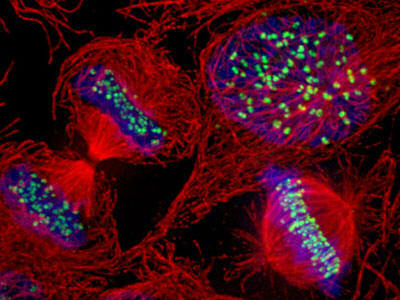 Molecules collectively form to make up everything that you see in your physical world!! The cellular level is the 3rd stage up from the quantum level which should assist in taking some of the mystery out of how it is that your thoughts, feelings and emotions create each of the events, conditions and circumstances that you experience in each and every area of your physical life. Understanding cellular memory will also assist you in understanding why you may have a sincere desire to experience a given outcome, but seem to be unable to bring about the desired result in your life regardless of how badly you might "want" these changes to occur. The Quality Of The Cellular Memory Determines The Vibrational Output Projected Which Determines The Attraction and Transmutation Of Quantum Particles Which Form Into Your Physical Reality. Do you ever wonder why it seems so difficult to achieve "conscious" desires that you hold for yourself? Have you ever attempted to accomplish a specific outcome and regardless of how hard you may have tried. you couldn't make it a physical reality regardless of what you did? Do you know of anyone that seems to effortlessly create pleasing results time after time but you seem to struggle with everything you try? Have you achieved a certain level of success but have a desire to experience more but can't seem to rise above where you currently are in your results? Understanding Cellular memory can provide you with the key understanding as to why you may be experiencing far less than you might desire to experience regardless of how hard you might try and regardless of how much you may desire to experience different outcomes than you currently may be experiencing. Grasping this understanding will enable and empower you to transcend the current level of results that you're experiencing and enable you to begin reaching and producing the level of results that you have a desire to experience. To grasp what cellular memory is and how it produces effects in each and every area of your life, it's going to be necessary to take a deeper look into what cells are and how it is that they can and do hold memory that may be effecting your outcomes. First of all, understand that your body is made up of approximately 50 TRILLION cells. In other words, your body houses over 50 trillion living organisms and is literally like a Universe unto itself. It houses 50 trillion inhabitants within it much like you exist in a Universe that is inhabited by 6.7 billion people. You, being an individual, although you are individual in form are a part of a much larger whole. The cells within your body are the same. They are individual microscopic forms of life that exist independently of one another but collectively exist as a whole which makes up your body. According to recent research performed by Dr. Bruce Lipton PHD., a cellular biologist and author of the bestseller 'The Biology Of Belief', through research that he performed at Stanford University School Of Medicine, the cells in your body are individual sentient beings that have the ability and the capacity to hold memories just as you do on a larger scale. (Listen to an interview with Dr Lipton here regarding his research on cellular memory) In other words they have the capacity to store memories within themselves just as you hold memories of past events, conditions and circumstances. Although you have access to this memory at a "conscious level" you DON'T have access at the "subconscious level" let alone at the "cellular level" without utilizing specialized processes and tools enabling you to tap into and shift the destructive memories held. Depending on the types of memories that are stored at this "cellular level", whether productive or destructive, is THE determining factor as to what you'll be enabled to experience in your physical life. The macroscopic world that you look at and see, which includes each and every physical thing that you can see, touch, taste, hear, and smell in physical form as well as all things unseen are at their core...in their purest and most basic form, energy. Energy exists at the unseen wave form in what scientists refer to as the field. If you're more inclined to a spiritual perspective you could refer to this "field" as The Kingdom of God. Regardless of which you choose to call it, it is where all things that are, have been or ever will be come from. In the same way every result that you experience in the various areas of your life is derived from the microscopic world of quantum reality. Looked at in a different light, all things physical are drawn from the unseen, spiritual or quantum realm. All things seen and experienced in your life are derived and drawn from the unseen. As we've discovered by looking at and developing an understanding of The Law of Attraction and through exploring The Law Of Vibration the rate of the vibration of this energy determines what is attracted and experienced. Your cellular make-up...more specifically the beliefs that are stored within your cells creates a vibratory output or resonance, sends this frequency into the field or The Kingdom of God and depending on the kind and quality of this projected frequency, determines precisely what outcomes are attracted to you. Although a lack of physical results and suffering is optional and something that you do have the ability as well as the choice to experience, you also possess the option to experience life at the other end of the spectrum...at a much more pleasing and enjoyable level than the mass majority are willing to accept and as a result experience. Understanding and having a willingness to change yourself at the level of cellular memory will enable you to better understand why that's true and how it works. Dr Alex Loyd provides the only tool necessary to initiate this change. It's called The Healing Codes. The Healing Codes provide a series of simple yet extremely powerful set of protocols that penetrate and shift the underlying cellular memories that keep you from achieving and experiencing whatever it might be that you have a desire to experience in your life. 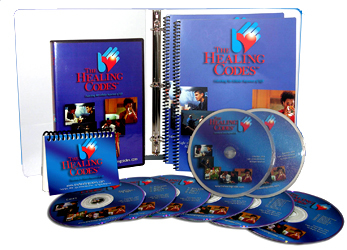 The Healing Codes provide the necessary actions that you need to take to enable your body to heal itself. It reactivates your immune system at it's full potential and enables the body to do what it was initially intended to do which is to heal itself. This isn't based on simple testimonials, theory and speculation from those who have successfully utilized the Healing Codes for themselves, it's based on double blind experiments which the scientific community utilizes to verify discoveries as scientific fact. The Healing Codes are based on those facts. To see some testimonials for yourself and to check out the power of The Healing Codes for yourself check out these videos. It will provide you with a profound and enlightening look at what is, always has been and always will be available to you to heal and enhance the physical, financial, relational, emotional and spiritual areas of your life and transform the underlying beliefs that you hold and the cellular memory that is the underlying cause of each of your outcomes. You have the choice as well as the ability to rise above the quagmire of mediocrity that the mass majority, also referred to as the collective consciousness chooses to remain in. You have the ability to experience whatever you desire to experience in EVERY aspect of your life. It's simply a matter of choosing to become aware and apply that awareness that will enable it to become a physical reality. It's simply an individual choice...YOUR choice. It's our hope as well as our wish for you that you choose a life filled with love, joy, fulfillment, profound inner peace and limitless prosperity in each and every area of your life. What I understand to be and choose to refer to as Abundance and Happiness. …and not all of the dollars of all of the pharmaceutical companies combined can come anywhere close to duplicating the incredible healing system you were born with. "Discover how thousands of people, including doctors, are healing disease AND emotional issues spontaneously and WITHOUT modern medicine." Copyright © 2008 - 2012, The Cellular Memory article and all content throughout Abundance-and-Happiness.com is protected by International copyright law and strictly prohibited from copy or reproduction in any form in whole or in part without the express written consent of the author and/or Enlightened Journey Enterprises. All Rights Reserved Worldwide. Each of the resources recommended in the Cellular Memory article and throughout Abundance-and-Happiness.com have been personally tested and approved by the founder as a credible and effective means of accomplishing it's intended purpose. Any and all guarantees are handled through the company that provides the resource.